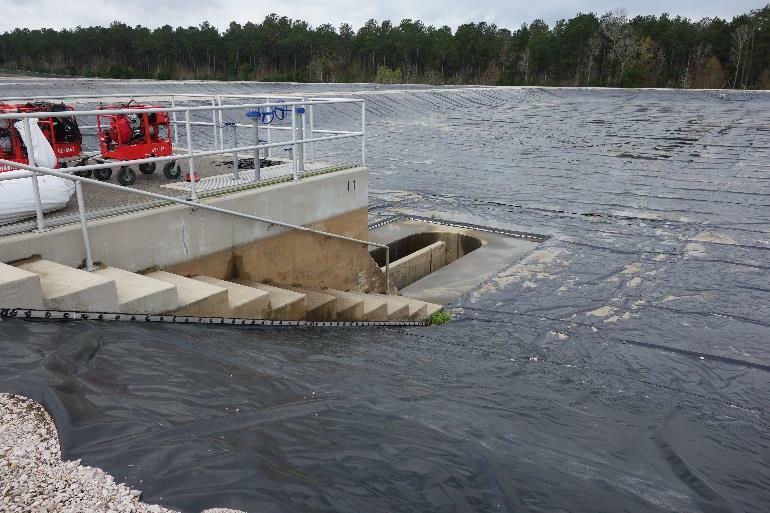 The John D. Parker East Texas fish hatchery opened in 2012 to stock Texas public waters. 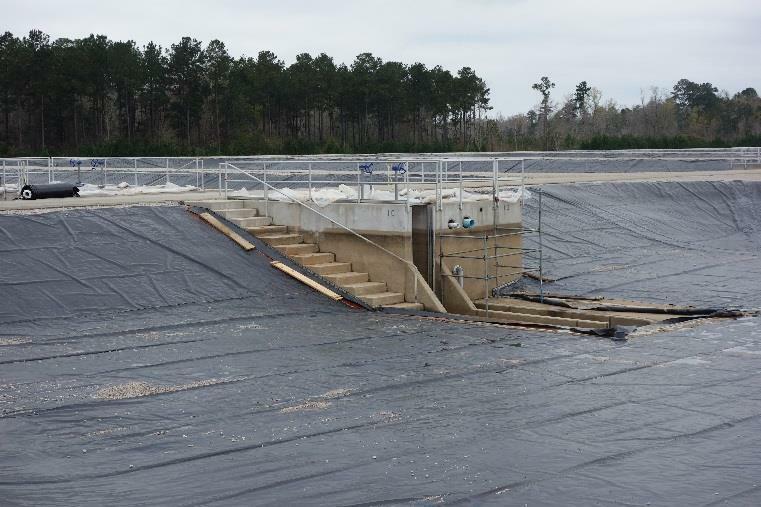 From this facility, up to 5 million fingerlings of bass, catfish, and sunfish are raised and then released. 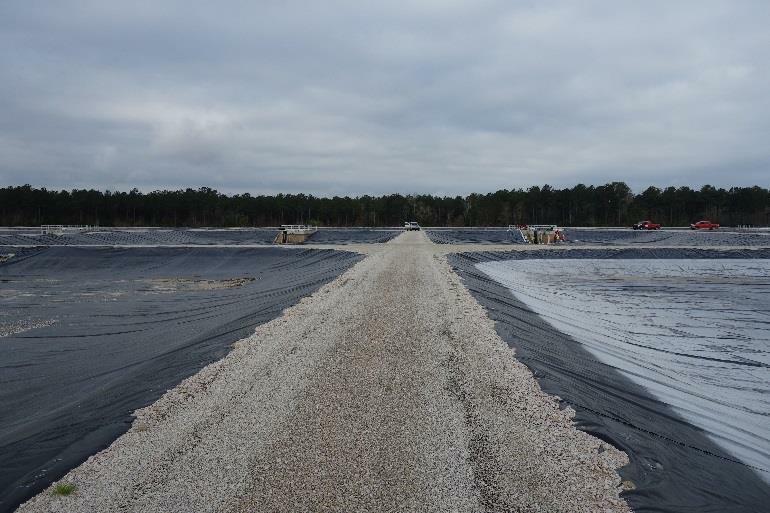 Located on a 200 acre site near the town of Brookeland, TX, the hatchery gets its water supply from the Sam Rayburn Reservoir. The facility contains many ponds where the fish are raised, and each pond has an attached kettle. These kettles control the flow of water into each system, but they create an irregular-shaped inclusion into an otherwise normal pond structure. The attached liner and hardware around the kettle structures began to wear and open over time. The liner and the hardware attaching the liner to the kettles had to be replaced. 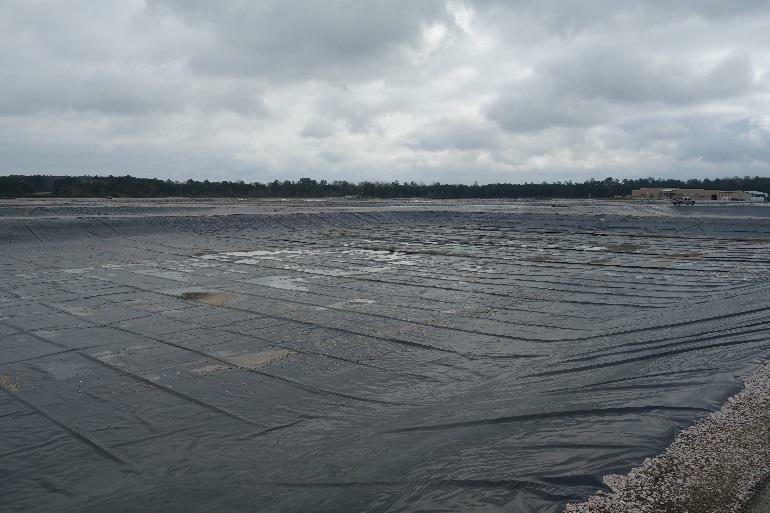 But, due to budget restrictions, the area of replaced liner had to be made as efficient as possible. The area of concern for the lining was mainly around the kettle structures. Since only the liner that was attached with hardware to the kettles needed to be replaced, custom pieces could be used. With site drawings and measurements, two dimensionally different pieces could be used to fix all affected kettles at the facility. The larger of the two pieces had to be manufactured for 12 kettles, while 46 were manufactured for the smaller kettles. Each of the pieces was custom fabricated by Raven Industries and allowed the facility to save on time and installation costs for the entire project. The East Texas Fish Hatchery facility. A pond kettle structure with the attachment hardware. The kettle structures under repair. A repaired kettle with the custom-fabricated Rufco 4000B. Fish hatchery pond with kettle structure.